Fox News Boycott | Fox News’ Sarah Palin a Hypocrite? You Betcha! Sarah is just mad that Rham made fun of her people, we all know Sarah is the queen of all retards. FNB, think before you type. NEWSFLASH: African-American is NOT a race. It was hilarious when the news reports called the underpants bomber African American. He’s not African American, he’s African, from Nigeria. You don’t hear Africans or people of African decent being called African Norwegians in Norway, or African Polish in Poland, or even African Japanese in Japan. And once again, you fail to LISTEN. Rush has got you so twisted up, you don’t know what to do. After your buddy Deadfish was caught saying f-ing retards, Rush started out by saying, (paraphrasing) “…this is what I’m going to do today, I’m going to use this term that Rahm used and the leftwing media and bloggers are going to fail to report his use, but then go on to rip me for repeatedly saying it in parody…” Get your head on FNB. You look stupid falling into lockstep with Keith and Larry et al. Once again, if this had been anyone to the right of JFK that had used this term, you would have been calling for their resignation. Period. Nothing less than that, and probably a Congressional inquiry at the same time. Where’s the honesty? Crowdaddy13: When you’re elected to any position above Scribe of your Star Trek fan club, let me know. .-= Barry´s last blog ..Obama: Racist or Resentist ? =-. Palin would do well to stay above the fray and not be dragged down into the muck of non-reason and knee-jerk reaction. Rahm’s use of the term “f-ing retarded” speaks enough about his character and viewpoint. If Palin isn’t bright enough to let that go, then maybe she really isn’t bright enough. MTF. Ben, I won’t bother asking you your race as, one, it doesn’t matter and, two, trolls are rarely honest, even with themselves. But Beck is clearly not black, nor African American. It’s not up to him to decide that people who refer to themselves as African American are wrong. As for Rush’s use of the word “retards,” you clearly didn’t see that he was calling them the pejorative and said that he won’t apologize for it. You’re so wrong, it hurts (from the laughing)! I don’t recall ever seeing any trolls here. In fact, every poster with a contrary viewpoint has stated that viewpoint pretty plainly. @Ben……….you got it wrong, I was elected scribe of the STAR WARS fan club, not STAR TREK……get it right. And two, Sarah Palin is a f**king retard and so are most conservatives……what are you going to do to me about that? No, I won’t apologize, Rham is right. Oh and Marbran…………you and every other republican use the words “ad hominem” way too much. Just because Rush uses it in everyday dialogue doesn’t mean you can use it too and sound smart. Come up with your own stuff for once instead of regurgitating crap. And just because you call my insults ad hominem isn’t going to “reverse-psychology” me into being quiet. So good try………….MORON! Oh, damn, I had to be a 3rd grader again. Maybe I will graduate to the 12th grade level and call you a d**khead. Marbran, You’re wrong on both counts, though mostly the first – Not everybody “who disagrees here is automatically labeled a ‘troll.’” The other definitions will explain why those deserve that moniker. Trolls don’t necessarily have to “fish for other people’s confidence.” People who post ad hominem attacks on blogs, forums, chat rooms, etc. are trolls. Those who blatantly ignore the facts presented and continue to dispute once proved wrong time and time again are obviously here for no other reason than to cause strife and disrupt the flow of information. They are; therefore, trolls. 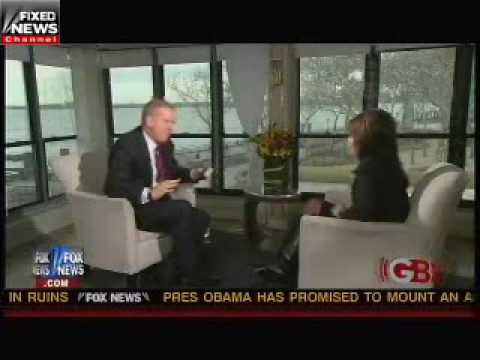 FNB – Why do Liberals believe Palin is our of touch with reality? She is down to earth and has more in common with the average citizen than any of the liberal politicians in washington. Liberals hate Palin because she does not sound or look like a liberal elitist who spews talking points about big government. I want more politicians like Palin who are common-folk like farmers, small business owners, teachers, cops, bakers, etc and no more elitist, out of touch moron attorney’s and millionaires. Barry, I agree that many (can’t say all) politicians, liberal and conservative, in Washington do not have much in common with the average citizen. It’s complete BS that Palin does. People don’t “hate Palin because she does not sound or look like a liberal elitist who spews talking points about big government” – People hate her because she’s a lying hypocritical idiot who spews talking points from the GOP and the Tea Party movement. If you seriously believe that she is “common-folk like farmers, small business owners, teachers, cops, bakers, etc,” then we cannot have a rational discussion. FNB, you have to be a concervative to understand why Palin is like the common-folk of this great country. She has risen to where she is by her own hard work and determination. She did not sit back and wait for the government to giver her handouts or to take care of her, she used her god given talents to prosper and not stagnate like so many liberals who fester in life because the want the government to take care of them. Unlike Hillary, Palin made a name and a career without riding the coat tails of her husband. Would Hillary be where she is today if not for Bill? Palin has done so many things (city council, mayor, state governor, presidential candidate, fox news contributor, author) all while being a mother and raising her children. Why do liberals despise a woman who can achieve success and raise her kids at the same time. Liberals listen up, Palin is here to stay so get used to seeing her pretty face and conservative views. Ben, Contrary opinion has been posted – yours, Marbran’s, Barry’s, even Crowdaddy13′s – Now you’re just not making sense… typical troll. Barry, All of those points are debatable, but to get into it would stray off topic and, frankly, I couldn’t care less how delusional the two of you are… One thing is telling, that what matters to you is “her pretty face and conservative views.” I notice you didn’t include intelligence. That’s an effort at reasonableness, I suppose. See FNB…..to disagree means we are “ad hominem”, you will never win a debate with morons. They can’t wrap their heads around complex issues. So lets see, the retard palin can attack our President and our nation all she wants but when she gets called on being a true threat to our nation. The republican party = the true terrorists of our nation. To get back to the point of this whole issue…………..should Rahm have to apoligize for telling the truth? My point exactly. Can any Republicans who consider themselves quick explain how Bushes TARP was NOT Socialism? Can any of you tell me, irrespective of what your Political Party SAYS it believes in and has for however long, I should believe a sole word of it after experiencing continuing deficit disbursal under your politicos? I exempt Reagan from this – the Eastern Bloc needed to be vanquished and I believe he’s the only leader of the last 50 years who had a sound excuse for it and as I see it we broke their backs economically. But since then? The fact is Sarah Palin is still very much in the game and she continues to get a lot of attention. But she is one of the biggest hypocrite’s I know. But thank you for the post, I enjoyed the read. I still can’t believe Sarah Palin has her own reality tv show. Can anyone get a reality show these days? And it’s painfully evident that she is taking advantage of it to get people’s attention so that she can try to become president of the USA. The sickest thing is that what with the way everybody idolizes reality stars, it’s just insane enough to actually work. I’m not necessarily an exorbitant liberal or anything like that, but I would think anybody with half a brain on whichever side of the aisle should be able to tell why we wouldn’t want someone like Sarah Palin being in charge of the USA.